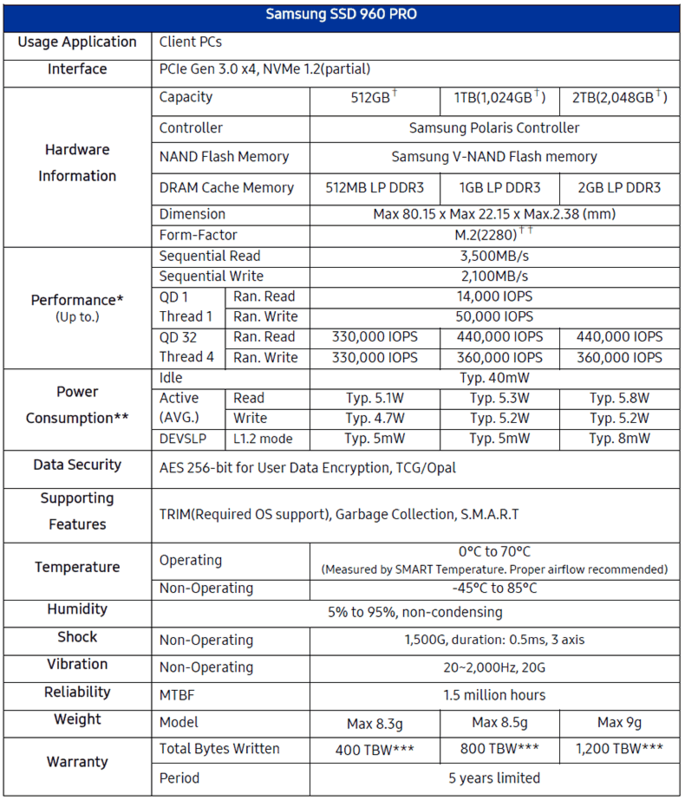 the Samsung 950 Pro in terms of performance and energy efficiency. 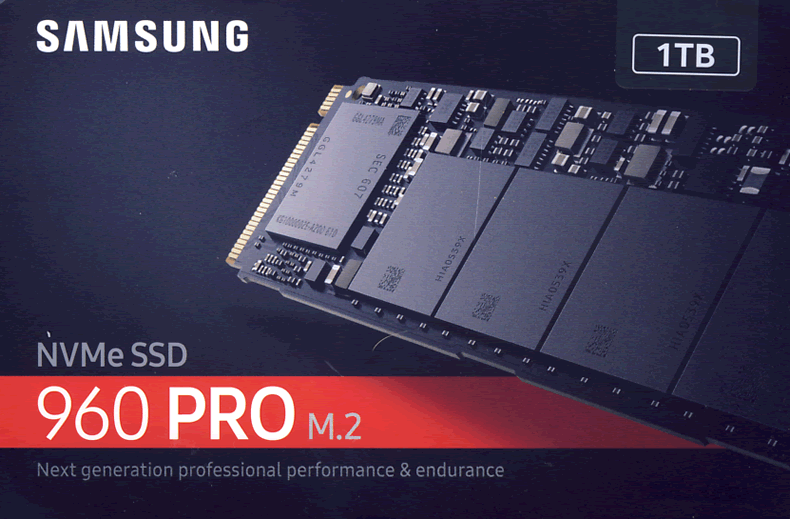 range in the shape of the Samsung 960 Pro M.2 NVMe series of SSDs. would like to find out more about Samsung, can do so at their website. instruction book, and warranty information. NVMe SSD PCB top side. NVMe SSD PCB bottom side. equipped with a whopping 2GB of LPDDR3 DRAM. the rear of PCB, which is through plated to the controller, and V-NAND, to act as a heat spreader. We shall see how effective this solution is later in this article. Z170 chipset, and X99 chipset motherboards. NAND during drive idle periods. 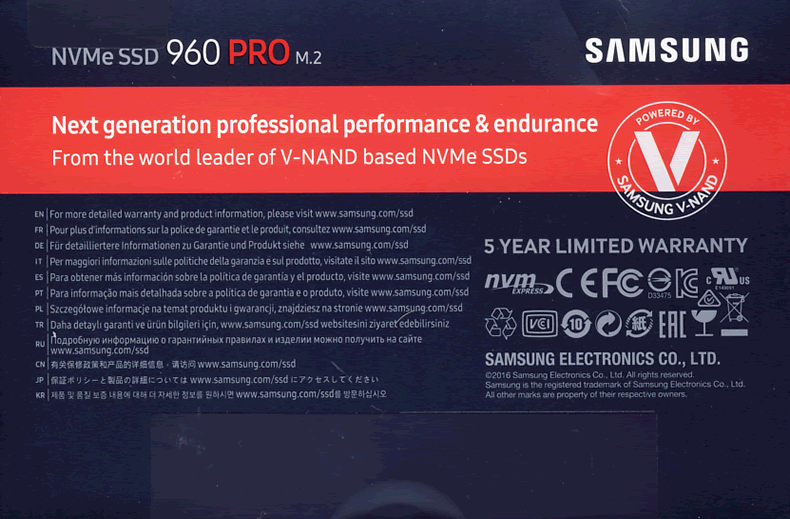 the Samsung 960 Pro becomes available in the shops. Does the SSD support TRIM? TRIM command to pass-through to the SSD, and this includes the driver. 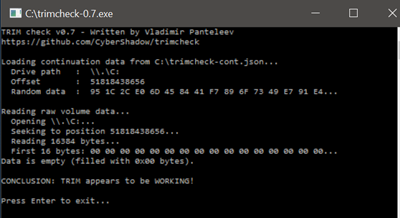 of reliability, using a small utility written by Vladimir Panteleev called TRIMCheck. 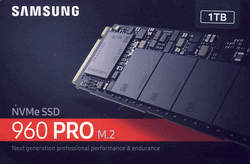 Samsung 960 PRO M.2 NVMe 1TB SSD. testing methods and the review PC….